The last 30 days have been nothing short of a public relations nightmare for CNN. The network is reeling after a brutal stretch that has seen two hosts taken off-air, one story retracted and another rewritten, accusations of staged protests, the resignations of three key employees and most recently, an ongoing series of undercover videos meant to portray CNN as misleading the public about the Trump-Russia stories that have dominated media coverage of the president so far. 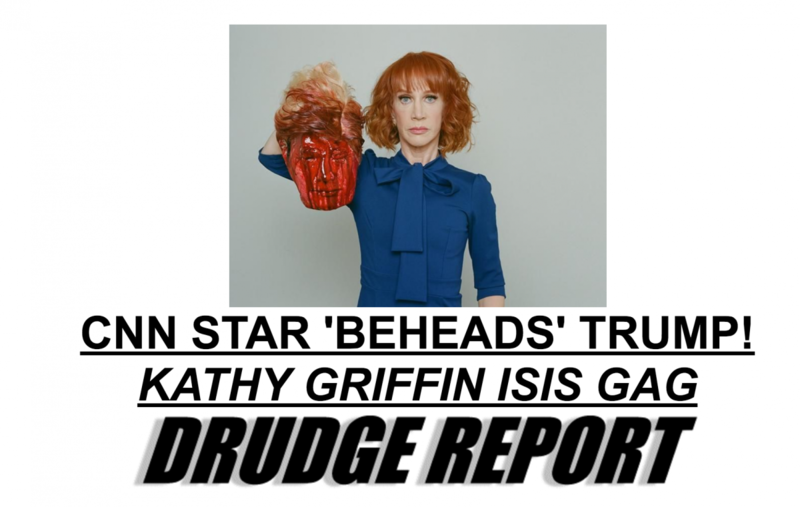 Late on Tuesday, May 30, TMZ published images of CNN’s New Years Eve co-host, Kathy Griffin, taking part in a photoshoot with a mock severed head of President Trump. The story quickly blew up. Influential news aggregator Matt Drudge placed CNN’s ties to Griffin front and center on his site, the Drudge Report. Drudge Report banner on May 31, 2017. The network called the accusations “nonsense” in a statement released on June 5. “Police let demonstrators through the cordon to show their signs. CNN along with other media simply filmed them doing so,” CNN’s statement read. Days later more footage from the protest scene leaked, showing reporters milling about as they waited for protesters to get their posters. The day after CNN addressed the London protest video, the network suffered another self-inflicted wound. CNN ran a story on June 6 that claimed former FBI Director James Comey would use his testimony the next day to refute Trump’s claim that Comey had assured him three separate times that he was not under FBI investigation. That story was debunked the same day when Comey’s prepared remarks were released to the public, showing that Comey would actually confirm, rather than refute, Trump’s assertion. CNN’s nightmare month continued last week when CNN.com published, deleted, and then retracted and apologized for, an article that claimed Trump adviser Anthony Scaramucci was the subject of a Senate investigation for his ties to Russian bankers. Three key members of CNN’s investigative team resigned on Monday for their role in the retracted story. Lichtblau, the executive editor who co-authored the botched Comey story, was among those who resigned. Though Bonifield’s focus is on health — not Russia — the story quickly took off, in part because the producer portrayed the company culture as one that treated Trump-Russia stories as a hunt for ratings rather than a pursuit of truth. He described, for example, CNN president Jeff Zucker ordering the company’s focus “back to Russia” just a day and a half after Trump pulled out from the Paris climate accords, which was portrayed by some in the media as an earth-changing decision. Also on Wednesday, the New York Post kept alive the scandal around CNN’s Scaramucci story, running an exclusive that claimed the network pulled the article after the Trump associate threatened them with a $100 million lawsuit. The month of drama appears to be taking a toll on CNN’s employees. A depressed atmosphere settled over the company after the three resignations, CNN sources told BuzzFeed. “It’s been a tough week but I’m proud to work at a place that corrects mistakes and values transparency on them,” reporter Andrew Kaczynski wrote on Twitter Tuesday night.